Don't Blend In is an endless scroller where you play as a color blob trying to stay off the part of the background with your color. If you fail to do so and step fully on such a background you will have "blended in" and the game is over. The game has simple mechanics. 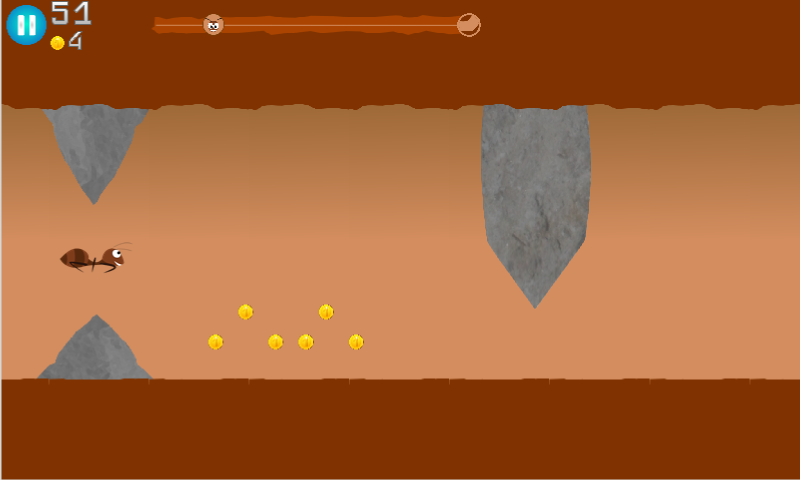 While holding the left side of the screen your blob moves left and vice versa for right. You need to avoid fully entering the block of background that has the same color as your color blob. To help you out there are 3 power-ups you can pick up: time slow, invincibility and double points. You can also collect pickups along the way. The final score is dependant on the time you stayed alive and the amount of pickups you've collected. The game start off easy and progresses to the point of extreme difficulty. To mix thins up colors start changing after a while to confuse your brain and challenge your ability to think quickly.